Perhaps our love of gardening is as old as agriculture. The recent survey by Naturalliance members found that more than 70% of rural residents tended gardens, with an increase from the more arid southern parts of Europe to the fertile north. As agriculture and forestry become more intensive, gardens provide havens for many species. Many people wonder how they can help the species they enjoy while discouraging the ones that harm their plants. In fact, there is now plenty of information on plants to grow in order to help bees, butterflies and birds. However, this information is scattered around Europe in many languages. Somewhere there may be the perfect solution for your worst pest too! And where there are not solutions, there may be scope for projects across the users of Naturalliance to find the answers for the future. So please join us to help build the site than can guide you and wildlife through the very complex systems we create with beautiful and productive planting. BEST PRACTICE. Nectar rivers from UK. PRODUCTION. 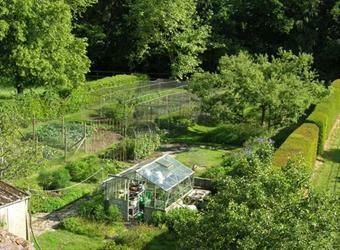 Naturalliance aims to link you to the best sites for productive, wildlife-friendly gardening. PROBLEM-SOLVING. From squirrels to slugs, we want to find the solutions that are effective for garden pests and safe for other wildlife. MAPPING. Naturalliance aims to help you to plant vegetables that avoid pests, to plant flowers that bring bees and butterflies and to place bird-feeders where birds of prey will not attack successfully. Mapping your garden is important for this. Mapping habitats beyond your garden (such as woods) is important too, for understanding which wildlife you might attract or wish to deter. • Manage soil, water, scents and weeds as effectively as possible.